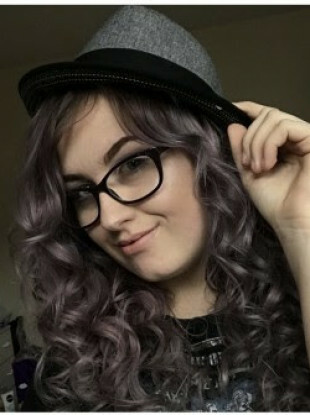 Jodie Chesney was killed after being stabbed in a park in East London on 1 March. A TEENAGER HAS been charged with murder over the fatal stabbing of 17-year-old Jodie Chesney in Romford, London. Police were called to a park in East London at 9.25pm on Friday, 1 March, where they found Jodie suffering from a stab injury. She was pronounced dead later that night at 10.26pm. A post-mortem examination gave the cause of death as trauma and haemorrhage. A 15-year-old boy was arrested in London on Friday. He is due to appear before Barkingside Magistrates’ Court today. A further four arrests have also been made in connection with the investigation. An 18-year-old man from Romford remains in custody after being arrested on suspicion of murder. A 50-year-old man and 38-year-old woman, both from Dagenham, and a 17-year-old male have all been arrested on suspicion of assisting an offender. All four were arrested yesterday and remain in custody pending ongoing enquiries. Manuel Petrovic (20), of Highfield Road, Romford, was arrested in Leicester on Tuesday, 6 March. He appeared at Barkingside Magistrates’ Court on Saturday after being charged with murder. He will appear at the Old Bailey today. Met Police said last week that Jodie was with a group of around five teenagers socialising in the park on the evening of her death. Jodie’s friends noted two men in the park who left around 9pm and returned around half an hour later. When they returned they walked straight towards the group. Jodie was stabbed once in the back by one of the men. A murder investigation launched by detectives from the Homicide and Major Crime Command (HMCC) continues. Anyone with information is being asked to call the HMCC incident room on 0208345 3775, tweet @MetCC or call UK Crimestoppers anonymously on 0800 555 111. Comments are closed as people have been charged. Email “Teenager charged with murder over fatal stabbing of 17-year-old girl in London”. Feedback on “Teenager charged with murder over fatal stabbing of 17-year-old girl in London”.